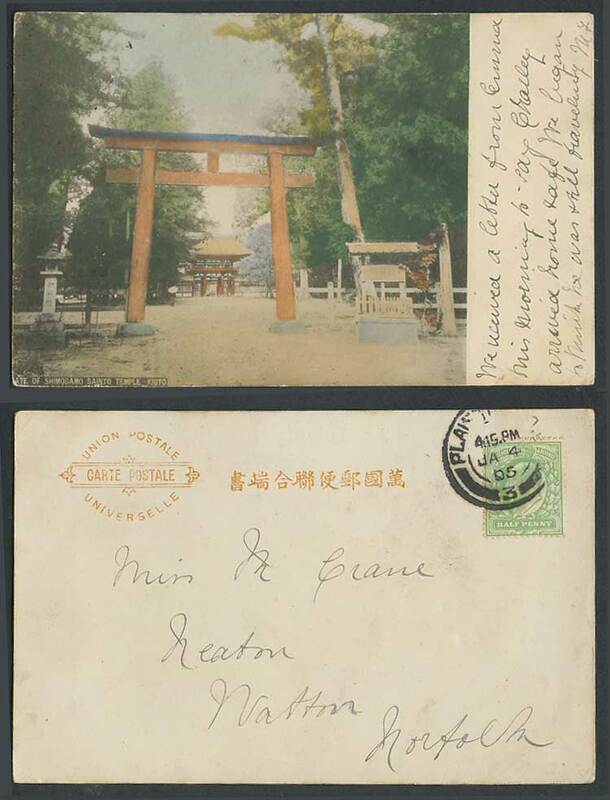 Vintage Japanese Colour Hand Tinted Old Undivided Back Postcard. Japan, Torii Gate of Shimogamo Sainto Temple Shrine, Kyoto Kioto. Stone Lantern. 京都 下加茂神社. Postally Used in 1905 with King Edward 7th 1/2d stamp.